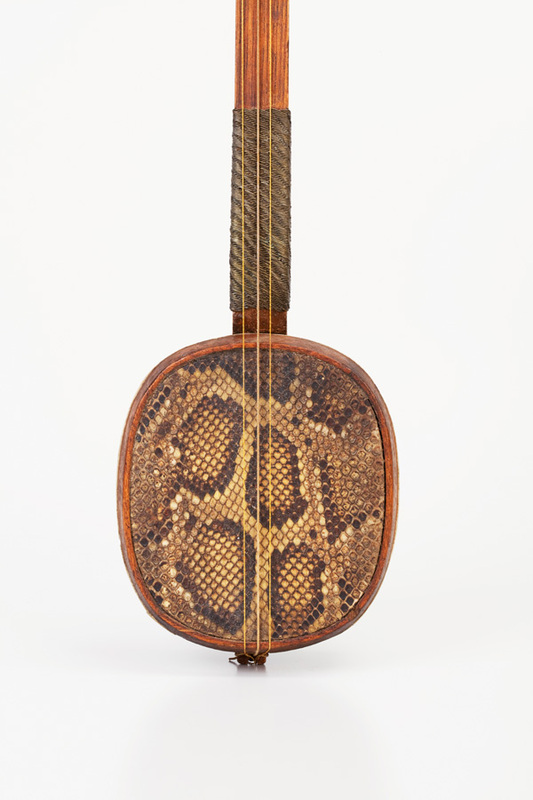 The internationally recognised Kirby Collection of rare musical instruments, primarily from Southern Africa, is now accessible to composers, sound historians and music lovers across the world. View the Kirby Musical Instruments Collection on the Digital Collections website. 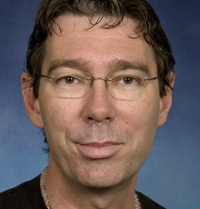 Michael Nixon is a Senior Lecturer in Ethnomusicology and African Music at the South African College of Music, and Curator of the Kirby Collection of Musical Instruments. He has been a student and performer of Indian classical music since 1973. He co-founded Sampradaya, a performance-and-research project in Chennai, India, and has worked in audio-visual archives at the University of Washington and at District Six Museum, where he helped establish the audio-visual archives. He publishes on Indian and African musics, and music in the archive. 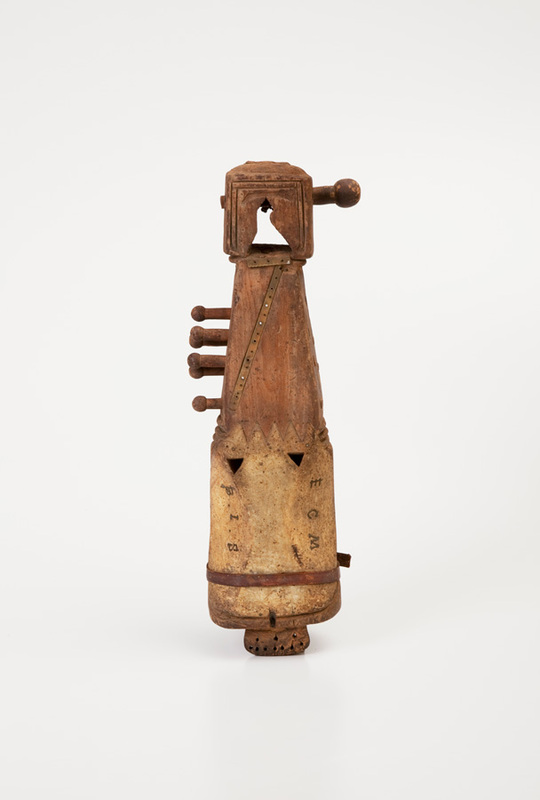 The Kirby Collection is a unique and irreplaceable assembly of more than 600 musical instruments, most of which were used in Southern Africa before 1934, many pre-dating urbanization. Evidencing the rich musical heritage of the region, it includes instruments made and played by all indigenous Southern African groups, as well as a smaller collection of instruments from five continents, notably Asia, and some unusual instruments from Western Europe. In addition to the instruments themselves, the collection also features paintings, sculptures and other objects relating to the field of sound. The physical collection is housed on the ground floor of the South African College of Music, but we have spent the past year meticulously documenting each and every instrument to bring the collection to light online. You’ll find an entry about the Kirby Collection in all the important dictionaries or encyclopaedias of music, and our online presence will now give people all over the world access to it. Percival Kirby (born in Aberdeen, Scotland in 1887; died in Grahamstown, South Africa in 1970) was an internationally acclaimed historian and musicologist and is regarded as a pioneer in the field of South African musicology. He arrived in South Africa from Scotland in 1914. As Musical Organiser to what was then the Natal Education Department from 1914 to 1921, he realised that the music of many local communities was disappearing as a result of Western influences. Later, as Professor of Music at the University of the Witwatersrand in 1930s, he embarked on a comprehensive study of the musical practices of South African people and built up an extensive and valuable collection of musical instruments through field trips and donations. This collection and his research became the basis of his book, The Musical Instruments of the Native Races of South Africa (Oxford University Press, 1934), which is still the standard reference on the subject, and has just been republished in a fine new edition. Kirby got close to his goal of getting one of every indigenous instrument that was available in Southern Africa, and took great care to preserve these instruments as best he could. He accurately predicted in his autobiography, Wits End (Howard Timmins, 1957), that in the future, the impact of foreign influences would cause many of the instruments he had collected to become obsolete. In the preface to the 2nd edition of his comprehensive study, Kirby explained that a typical example of this was the Venda mbila. The craftsmen who made the mbila and the musicians who played it had all died, and as they were unable to train successors, the instrument was no longer being made and is now extinct. Today, it would be very hard, if not impossible, to come by most of the instruments in the collection. I worked with a brilliant photographer, Sean Wilson, discussing each instrument in detail as we were working. Most of the Southern African instruments are entirely organic, and therefore very susceptible to damage. Sometimes a single instrument consists of numerous elements, each of which has to be handled with the greatest custodial care, so it was intense and took us a vast amount of time, but we now have photographs of everything, and alternate views of nearly all of the instruments. If there is some artwork, decoration or an inscription on the instrument, all of that has been beautifully captured in the photographs, so when researchers look at these details online, they can zoom in and get in close – which is great because some of these instruments are so old and fragile, you feel like you could damage them just by gazing at them, let alone actually handling them. In addition to this, I’ve been working with two graduate students – Landre Konuji and Joe Weinberg – to make the metadata for all the objects in the collection as rich and detailed as possible. Writing physical descriptions is a meticulous and tricky business, but we want to ensure that each instrument is fully described, both photographically and textually. Researching the provenance of all these objects is the most challenging and exciting part for me. I’ve mostly been working with Kirby’s documents and trying to track clues, interpret his fieldnotes and photographs to make sense of things. There is also a catalogue that was produced in 1967, by Margaret de Lange, at the time a newly graduated ethnologist at the Africana Museum, Johannesburg. Fortunately, the great musical instrument specialist, John Montagu wrote notes on many items. And he stuck notes into a copy of the catalogue, which he gave us, which is very helpful. I’m in contact with people all over the world trying to understand the history and provenance of certain objects. Sometimes things are obvious and look just like they do in the reference books, but sometimes there’s no book and no accompanying note. You need the local knowledge. We get quite a lot of visual artists interested in the collection. They want to know all sorts of things about the instruments and often end up sketching them. And I’ve had composers, like Philip Miller, wanting to look at particular instruments to figure things out. One of Lara Foot’s productions featured a kind of cello built into a chair, which was based on research done here. The Collection is an important research and educational resource, so we get many music researchers and schoolchildren, and now that it is online, it is likely to make an even greater contribution to world knowledge and our understanding of Southern African musical traditions. 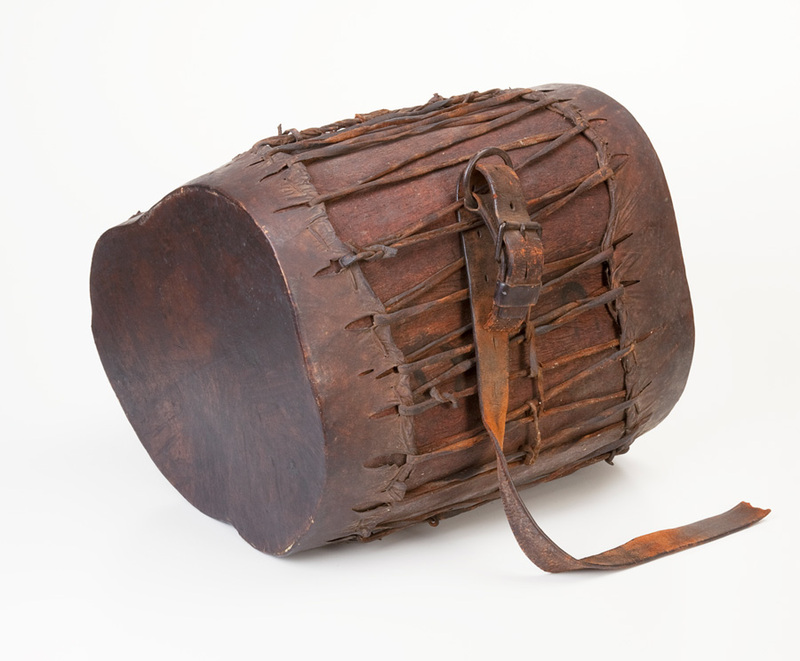 We understand that this drum was played during the 1906 Bambatha rebellion against British rule and unfair taxation in what was then Natal. Notes accompanying this very well-made instrument tell us that this sanxian was bought in Johannesburg where it had been “used in the time of Chinese labour on the Rand”. At some stage, the neck was broken and repaired with fine woven brass and copper wire in a way that recalls contemporary Zulu baskets woven from brightly coloured telephone wire, and the repair marks it as South African. The wire weaving now forms a splint around the neck of this instrument. This fiddle from Western India dates back to before the 1920s and Kirby bought it in Durban at the Victoria Street Market, which was officially opened in 1910. It looks very much like a Sindhi sarangi of Rajasthan. View the Kirby Musical Instruments collection on the Digital Collections website.